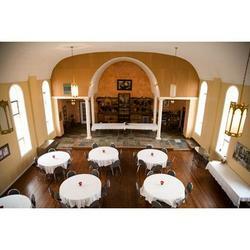 Our beautiful 2,500 square foot banquet room is available for your special occasion. For weddings or similar occasions our facility can accommodate up 150 chairs. For dining occasions up to 90 visitors can be seated comfortably. For more information or to make reservations, please contact us. Contents © 2019 Terre Beau Winery • Site Provided By: Day One Web, Inc.